My September Ipsy glam bag is here, and this month's theme focuses on empowerment and bringing out the best version of yourself. The products picked out for me this month were pretty nice. Among the items I received were a super fun lip color, and a gorgeous blush duo that truly impressed. This cool gray nail color is perfect for the autumn and winter season. I did a quick nail swatch with this polish and I really liked the formula. It's creamy, even, flowed effortlessly on the nail, and opaque. Two coats was all I needed for complete coverage. And the shiny finish makes for the perfect touch. This is one my favorite products in this month's bag. I am already a huge fan of ColourPop's Lippie Stixs, and this one is just as gorgeous as the others I have in my collection. This bold magenta is super pigmented, long wearing, and although it has a matte finish it doesn't feel drying on lips-thanks to ingredients like Shea butter and vitamin e which add moisture to lips, making this lipstick super comfortable to wear. 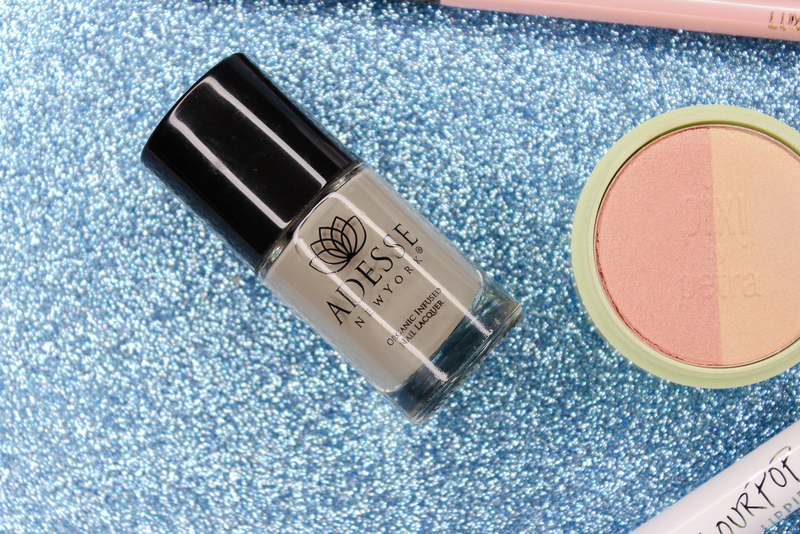 To be honest, I didn't think I would like this light-diffusing, vitamin e-infused powder duo much as I do. 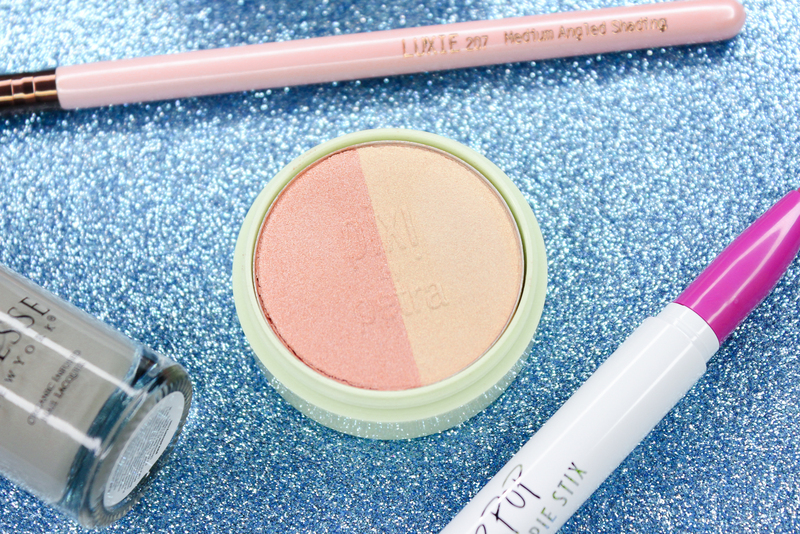 The colors are too sheer for me to use them as blush, but they are perfect for highlighting! Both colors impart a gorgeous glow on the skin that I can't get over. 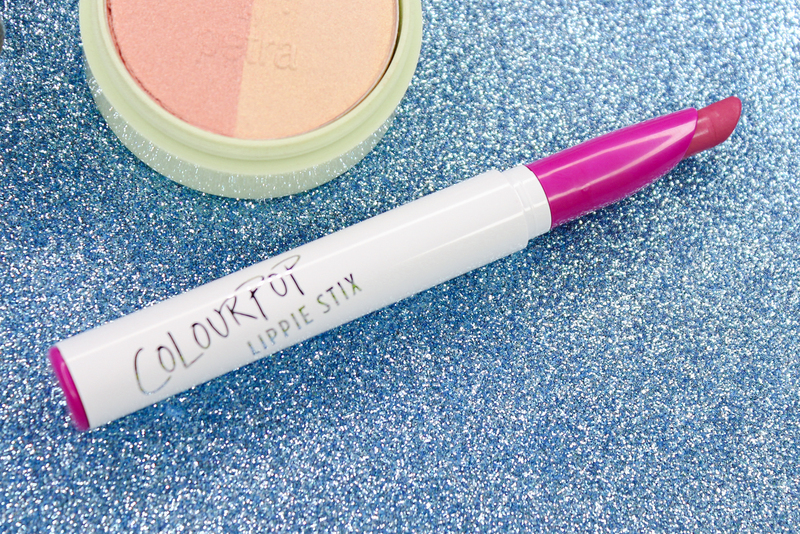 I am definitely keeping this product in my makeup bag! 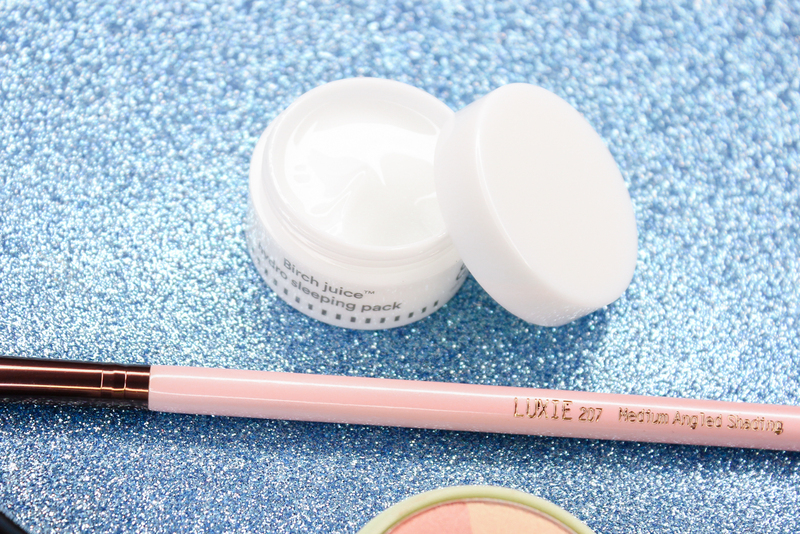 Luxie Beauty brushes are usually a hit or miss for me. But this angled shading eye brush (which is made of synthetic bristles and is cruelty-free) is one that I think I am going to find useful. 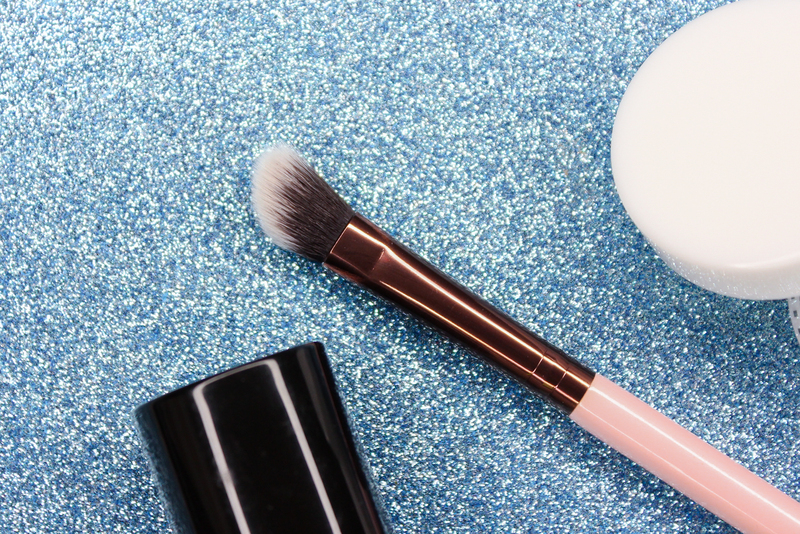 I am confident that it can blend eyeshadow on the crease; I also feel like this brush would be effective at contouring the nose and other small areas of the face, because of it's angled size . This face cream helps refresh and hydrate skin-while you sleep! The formula is comprised of Birch tree sap, chamomile and plantain seed extracts. It's paraben free, and safe for all skin types. To sign up for a monthly Ipsy subscription, you can do so, here (referral link). What items did you receive in your September Ipsy glam bags?